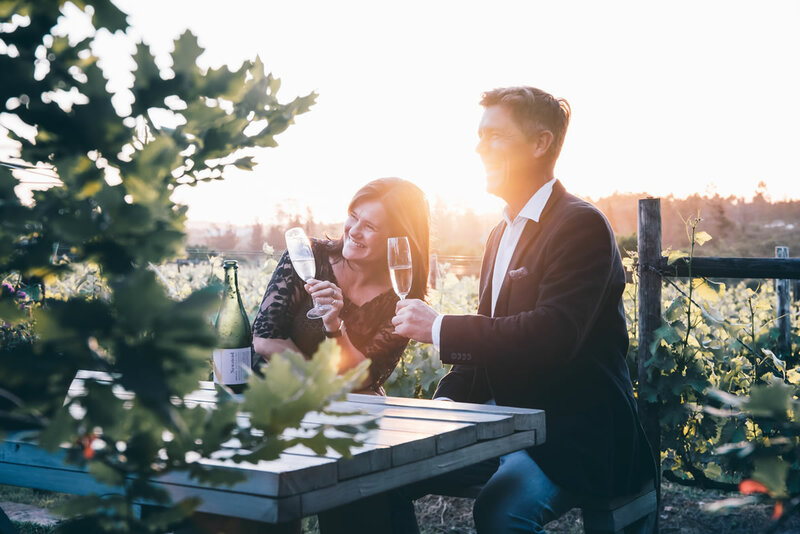 The Plettenberg is located in the heart of the Garden Route: an area famed for farm-fresh produce, oysters and seafood, one of the best bakeries in the country (île de païn), and an emerging wine route that already boasts 18 wineries. The menu at ‘SeaFood at The Plettenberg’ was designed by Relais & Châteaux Grand Chef Peter Tempelhoff and Head Chef Ritchie Rorich. The restaurant offers breathtaking views of Formosa Bay and delicious, seasonal cuisine that showcases the bay it overlooks. Diners at SeaFood at The Plettenberg can expect fresh, delectable dishes. It is open for breakfast, lunch and dinner – dine poolside on the terrace and soak up the incredible views, or head inside to admire the chic interior, which sees the sand, beach and sea surrounds reflected in its décor. Gourmet travellers will discover many hidden gems when exploring the Garden Route – amongst them Fynboshoek Cheese. Located in the Tsitsikamma area, just a short drive from The Plettenberg, the restaurant is housed in a farm cottage and has enchanting views of forest trees and a lake. The menu is simple, yet memorable: cheese, homegrown herbs and salad leaves, served with freshly baked bread. All of the cheeses are handcrafted on the farm; expect matured goat’s cheese in ash, smoked provolone, fresh ricotta, mozzarella and more. Plettenberg Bay is an exciting destination for oenophiles, too. Its wine region was granted official Wine of Origin status in 2005, and its reputation for superb winemaking is growing exponentially – especially for Méthode Cap Classique (sparkling) wines. Bramon Wines was the first estate to produce wine in Plettenberg Bay; it is situated in The Crags, a beautiful, mountainous area. Try their bubbly at a tasting, or order a bottle with lunch: tapas-style dishes served at tables in the vineyard. 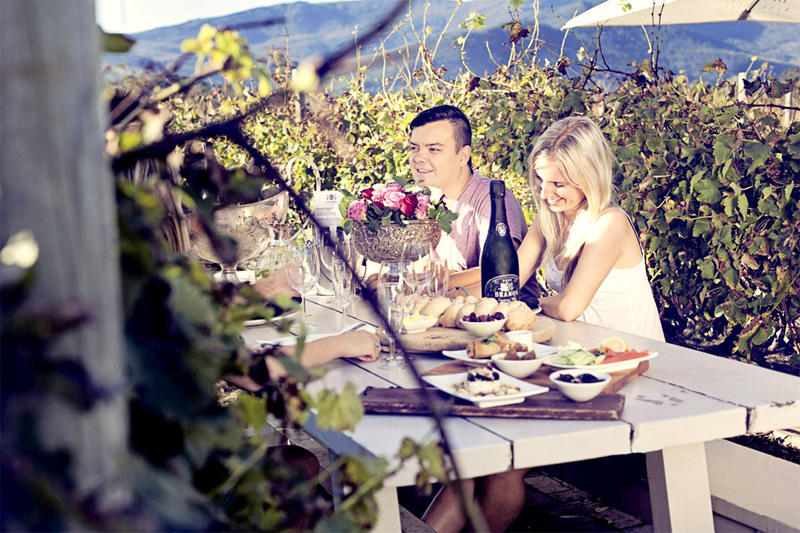 Traveller’s tip: Bramon Wine Estate is extremely popular, so we do recommend booking in advance. Ask for a table amongst the vines! Fresh breads, spreads and tasty tapas are available at Bramon Wine Estate. Newstead Wines also produces a celebrated Méthode Cap Classique, and offers a ‘bubbly and blinis special’. There are many other estates on the route, producing wines from a variety of cultivars. Savouring a Méthode Cap Classique from Newstead Wines in the region. In such a beautiful place, it makes sense for the foodie traveller to procure a bottle of wine from one of these wineries, head to one of the many regular markets to stock up on local gourmet goods, and then go picnicking; there are plenty of scenic places for an al fresco meal, from beaches and forests to riverside spots. For great food, try the Harkerville Saturday Market: pop into this bustling little market for fresh bread, hot coffee and a variety of other organic food. It begins at 8am every Saturday, with breakfast served under the trees. Another favourite is Market on Main, for delicious food and live music. Traveller’s tip: Plettenberg Bay’s local markets are great if you are looking for a souvenir to take home with you. From fruit preserves to curios, your best bet of finding them is at one of these markets!